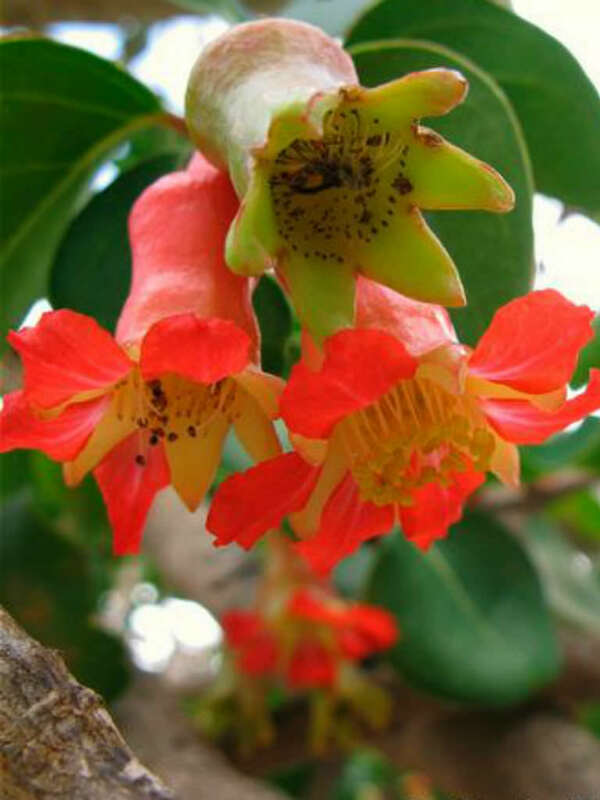 Punica protopunica is a flowering shrub or small tree, often thorny, up to 15 feet (4.5 m) tall. It has reddish-brown bark when young, fading to grey as it ages and becomes less fruitful. Leaves are dark green, glossy and opposite, growing up to 1.2 inches (3 cm) long. Flowers and fruits from December and January through to the summer. 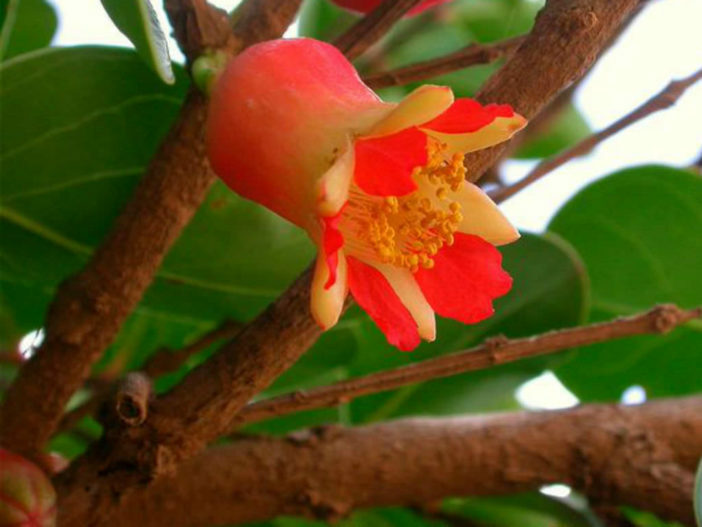 It differs from the Pomegranate (Punica granatum) in having pink (not red), trumpet-shaped flowers and smaller, less sweet fruit. The fruit is globose, up to 1.2 inches (3 cm) in diameter and yellow-green or brownish red in color when they are ripe. 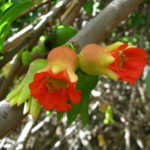 The Pomegranate shrub is somewhat drought tolerant and also salt tolerant. It is perfect for the sunniest and warmest locations in the yard that might scorch other plants. 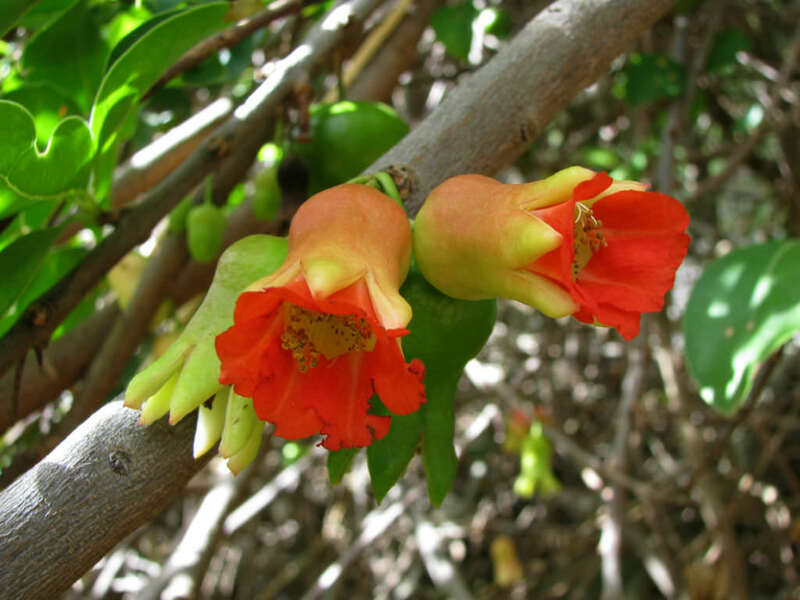 Pomegranate flowers can be used along with other annuals, perennials, shrubs and trees that attract hummingbirds. 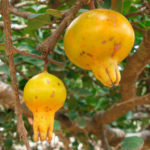 The pomegranate is a popular choice for bonsai. The bark is a red-brown color, and branches may have spines. Pomegranate may be grown in part shade as necessary, but ideally should be placed somewhere with as much sun and warmth as possible. The Pomegranate is drought tolerant, though irrigation is needed for proper fruit production, per the California Rare Fruit Growers. Water every 2 to 4 weeks during the dry season when you are establishing new shrubs. The optimal areas for this fruit are USDA Hardiness Zones 7-10. It is thought to come from Iran initially. 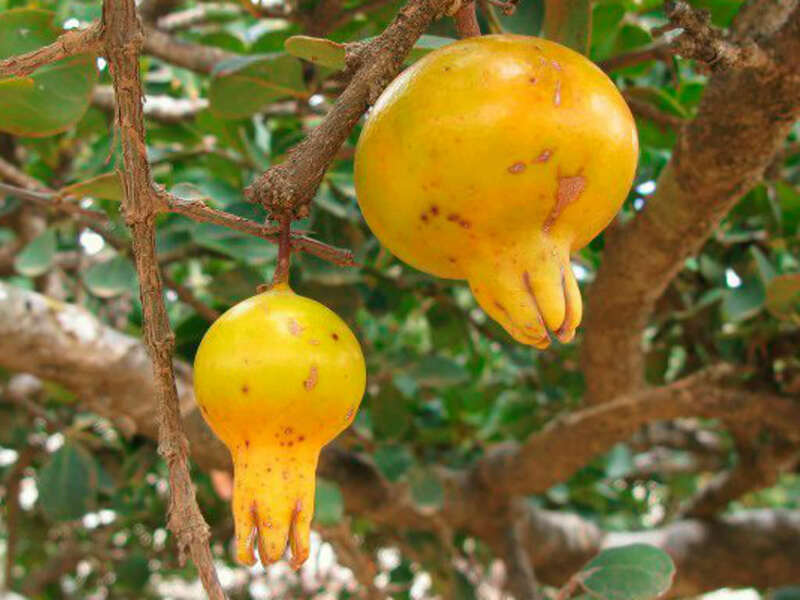 The Pomegranate does best in well-drained soil, though it is able to thrive in a wide variety of soils from acid loam to alkaline soil… – See more at: How to Grow and Care for Pomegranate. 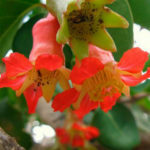 It is endemic to the island of Socotra (Yemen).